Summer is right around the corner, have you thought about how to entertain the kids this year? 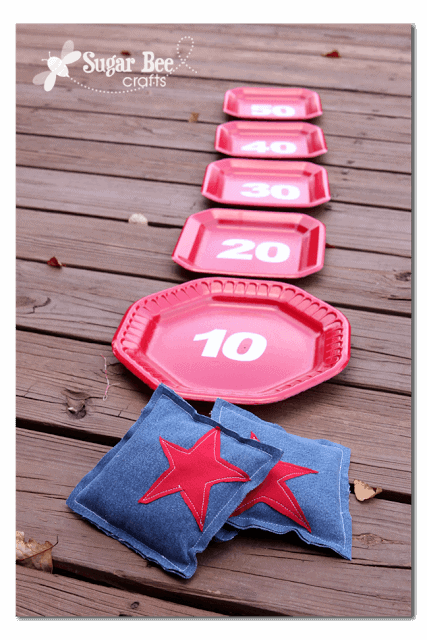 Or maybe you need a fun outdoor game for your Memorial day Party in a few weeks or Fourth of July. 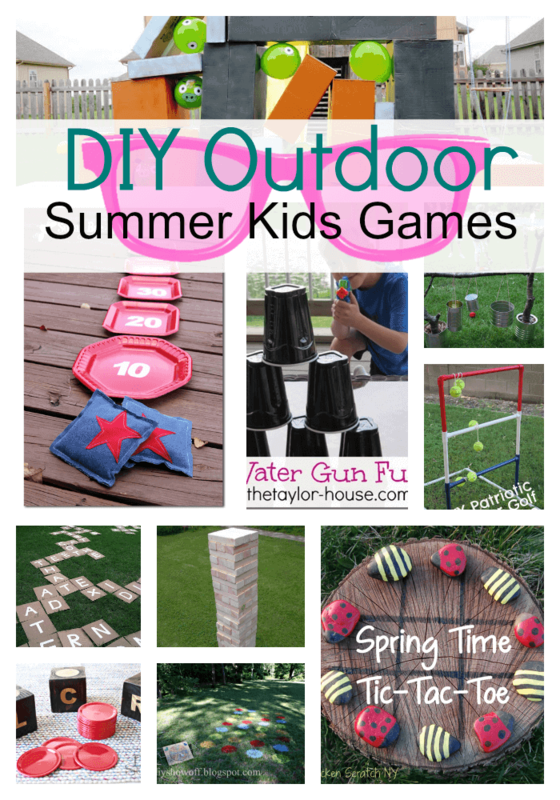 We found 10 of the most fun DIY Outdoor Games for Kids and adults to share with you today! 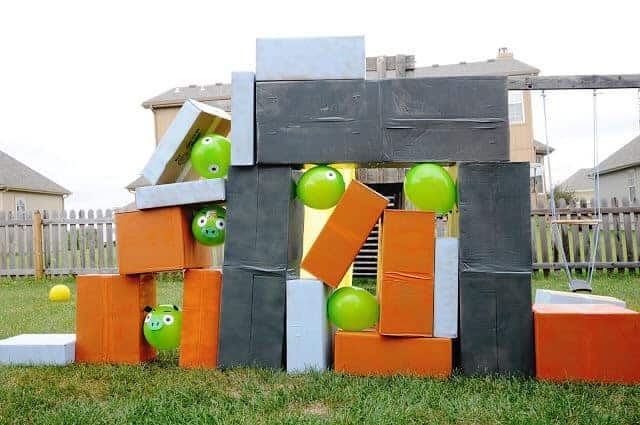 I can’t wait to make and play several of these with my boys this summer! Check them out! 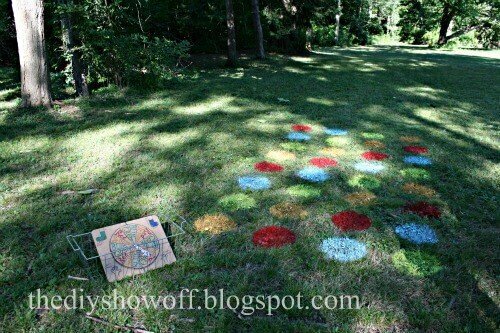 Check out this Lawn Twister Game from DIY Show Off, this looks like a great Memorial Day or 4th of July party idea! Sugar Bee Crafts has a simple DIY Bean Bag Toss using paper products! Love it! 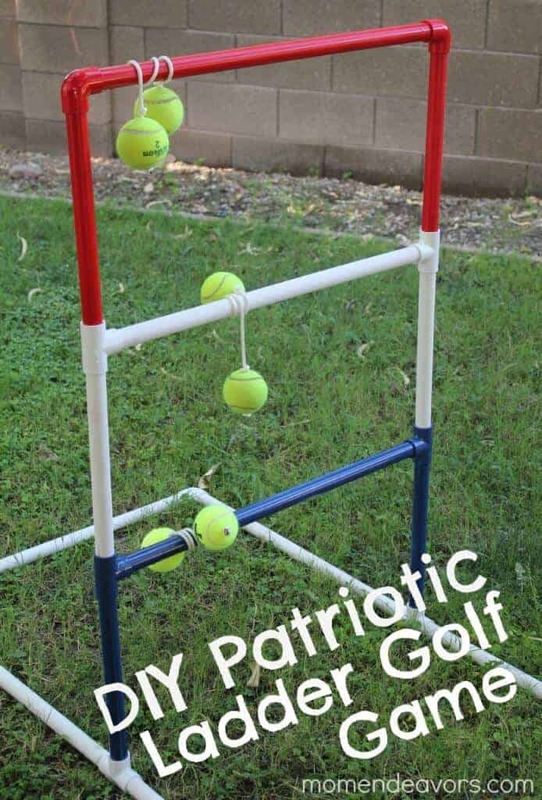 DIY Patriotic Ladder Golf by Mom Endevors is a great game for the 4th of July! 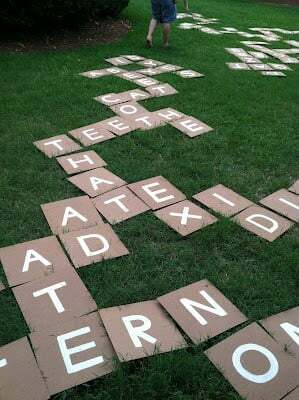 Lawn Scrabble could be a great kid or adult game! Check out how Constantly Lovestruck made her game! 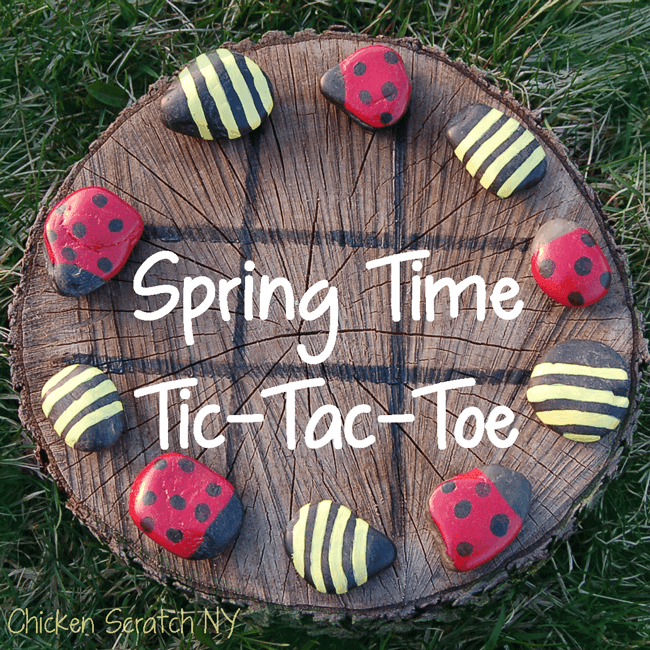 Outdoor Tic Tac Toe is one of my boys favorite games! This version from Chicken Scratch NY. 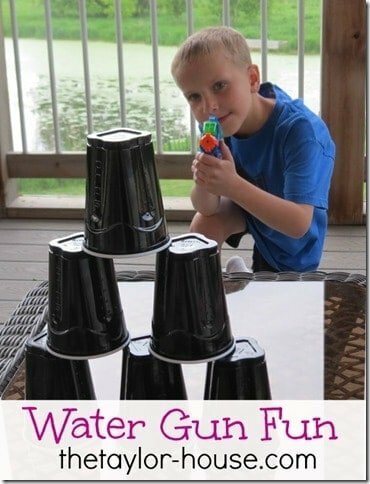 Water Gun Fun for Kids, a simple game from The Taylor House. 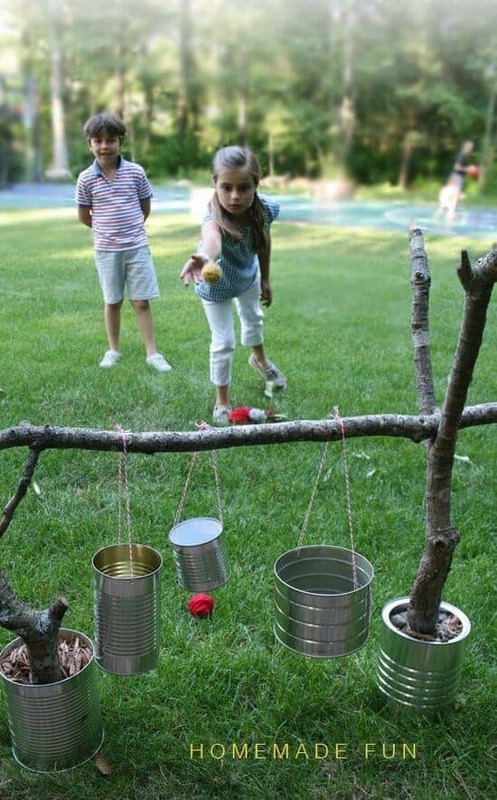 DIY Outdoor Kids Game to get them moving from Summer Fun! 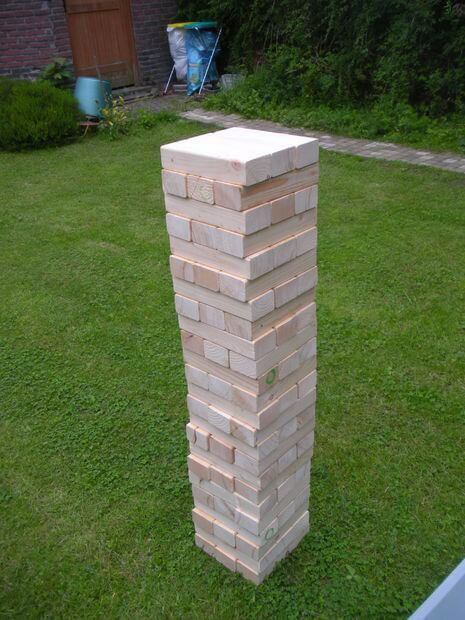 Giant Jenga game! I love this idea and so would my boys! Life sized Angry Bird Game, how fun does this look? Turn your favorite video game into a actual game! 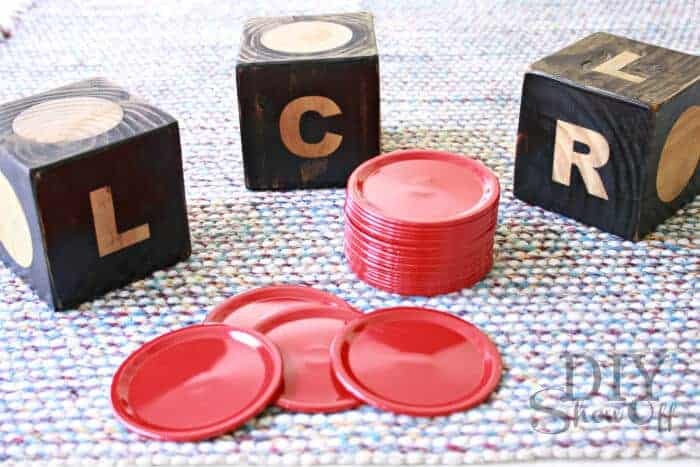 DIY Outdoor Giant Dice Game from DIY Showoff, these are adorable and would make a great decor idea in a game room! 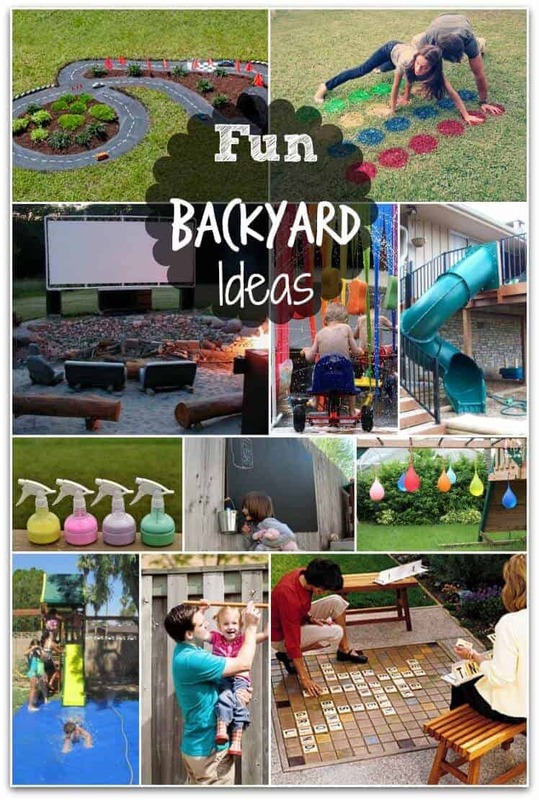 Looking for some other fun things to do outside – check out some Fun Backyard Ideas! 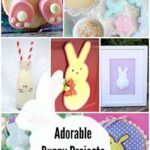 Where are the directions for these diy projects? Hi Melissa – click on the picture or the link for each of the projects and you will be taken to the directions! Thanks so much for stopping by! I loved knowing your site, you have great ideas to entertain the kids. These are such cute ideas. I can’t wait for it to warm up and the mud to go away so we can try them. My older kids (9yrs old) are even big enough now that they would be excited to follow the directions to make themselves. Do you have any suggestions for outside activities while it is still cold and muddy here in New York? Such great ideas. I love them. Want to do all of them for the grandchildren this summer. Thank you for sharing and Have a Fabulous Day! hola soi vince con slap chop os va a fascinar. mira mi güebo, tu vida estara mas excitante. First of all the angry bird image is amazing! That sounds so fun for the next party for my kids. It might be too late for my niece’s birthday thats coming up in the next couple of days.